We’d like to lay to rest some common misconceptions when it comes to playing slots. In this article we’re going to discuss them briefly. You were told to always bet the maximum bet. Not true! This is the quickest way to lose your money. The payout is not determined by the amount bet but by the multiplier bet (x) irrespective of the number of lines. Assume you are playing a 5 cent machine with 9 lines and multipliers from 1 to 5. The maximum wager would set you back 45 nickels ($2.25) and the jackpot paid out $500. In this case you are winning the jackpot because you played the 5 line multiplier not because you played 9 lines. If you played 9 lines but only played a 1x multiplier (many players do this) on the same payout you’ll only win $100. But, if you played 1 line with a multiplier of 5x you might still have won the jackpot of $500, if all the winning symbols landed on line 1. Always remember that the multiplier has a bigger effect on the outcome than the number of lines played. I suggest you stop playing the maximum number of lines rather play the maximum multiplier. If you’ve just won the jackpot must you stop playing it since it won’t pay out again? Not true! The very best machines you can play are those where the person has taken their cash and left leaving the winning combination on the screen. Many players see this, as a result they will not sit down, don’t let this fool you. Machines that just paid out might be looser than a machine that has not been paying? Let’s put it this way. If you had a choice, would you play a loose machine or one that’s tight? Obviously you’ll go for the loose machines. A good strategy is to try 10 pulls to see if it pays. As an avid slots player I’ve lost count on the number of times I played these machines and won. There’s a mathematical theorem that shows that even in a system of numbers generated randomly there can be a cluster of winning combinations even in a random sample of spins. So don’t be hasty to leave your winning machine just yet. I’ve comes so close to the jackpot, if I play a little longer will I win it? Nope you won’t. Remember, slot machines have a random number generator in them therefore the random factor predicts the outcome. Also, the programmers of the machines want to keep you playing hence the reason they often show results close to a jackpot, they are called ”near misses”. If you see a jackpot on a line don’t be fooled. If the program determines that a jackpot should be paid you would have hit it on one of the lines you were playing. Putting the jackpot on a line you are not playing also has the desired effect. In essence this is just a plot from the programmers to encourage you to play more. Slots Machine Not Paying Must I Leave It? I left the machine since it wasn’t paying. The next person came along and won the jackpot. I should not have left. Not true. Slot machines have a built in random number generator (RNG) that continuously cycles through thousands of number a second. When you press the spin key or pull the handle the RNG picks a number that determines the outcome and the symbols on the reels. This is done in a split-second. It’s highly unlikely that if you have stayed at the machine you would have had the same outcome as the next person. The casino is tightening its slots no one is winning a dime. Not true. 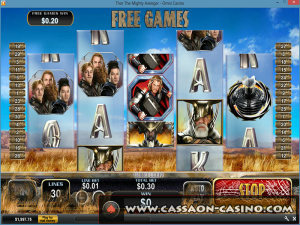 I must point out there has been a case where an online casino has tampered with the software of its video poker games. Luckily cases like this is very far and few in between. Although modern mechanical slot machines have drums in them and the casino could weight the stops to affect the payout percentage. These machines are seldom played so it is unusual for a casino to tamper with these machines. When you visit a brick-and-mortar casino the machines at the entrance and at the end of the aisles pay out more often. This is not true. Earlier years this used to be the case. 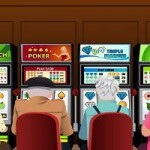 When players discovered this secret, smart casino managers moved the looser machines to other locations within the casino. Don’t play machines at the entrance or at the end of aisles. The best locations for loose slots now are in locations that can be seen from anywhere within the casino. They are also placed near cafes and coffee shops since it encourages people to eat quicker to get back to the machines. Slots machines are also placed near ATM’s. A smart ploy by the casinos since the people waiting in line are likely to draw more cash when they hear people winning. Another popular area for loose slots is in crossover areas. Crossover areas are where players must walk through to get to other slots aisles. The casinos want slot players to witness frequent jackpot payouts. Players using these pathways are more likely to be drawn into the main slot aisles where the medium and tight machines are waiting to trap them.